Finding funding for long-term improvements for organized locker rooms, weapons racks, and evidence storage areas for officers to do their job properly and feel good about their work is a common challenge for police departments and other law enforcements agencies. And smaller agencies often face even more significant challenges than their larger counterparts. Through contracts and other purchasing vehicles as well as a phased approach to a project, we can help create a storage plan that works for your budget now-and into the future. Capital projects can include construction of a new facility, as well as expansion, renovation, or replacement for an existing facility or facilities. Evidence lockers, gear lockers, and weapons racks are generally considered capital improvements. If you want to pursue a capital project, you’ll probably need to look beyond your typical annual budget for additional funding sources. We’ve developed a guide to help police departments and other public safety institutions pass bond issues and other referenda. Municipal bonds are often used to fund large capital projects. Municipal bond releases are a way to get funding from private investors for public projects. Grants are available from the federal government (and fro the state government in some states). While grants do not require voter approval, they usually involve an extensive application process. Most grants require a detailed budget, and you can make your case stronger by giving specific details about the impact that grant funding will have on your community. If your department does not have a grant writer, you can hire a third party grant writer, you can hire a third party grant writer to complete grant applications. 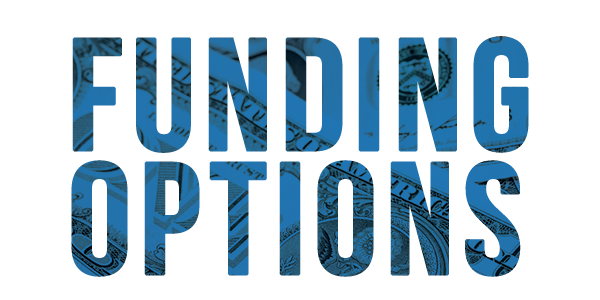 Department of Justice, Bureau of Justice Assistance or JAG Grants is a federally funded and administered program for assisting justice programs. Grants are typically targeted at a specific need. Often these grants may be used in conjunction with contract pricing due to the high solution customization and budget amounts. Law enforcement agencies in rural areas can apply for funding from the USDA’s Community Facilities Direct Loan & Grant Program, which provides affordable funding to develop essential community facilities. Law enforcement agencies serving rural areas including cities, villages, townships, and towns including Federally Recognized Tribal Lands with no more than 20,000 residents are eligible for this program. Leasing may be a good choice if your agency has a shorter term, more urgent need – for example, evidence lockers for accreditation or shelving for a specific area. Rather than go through the involved process of a bond initiative, you may have the option of procuring these items using a Tax Exempt Municipal Lease. The advantage of using a municipal lease is that it allows the transfer of capital improvements needs from a capital budget to an operating budget expense. Equipment such as evidence lockers, evidence storage, patrol/gear bag lockers may be purchased through municipal leases. The return on investment of a short-term municipal lease has a lower total cost than a longer-term municipal bond, which may extend specialties furnishing financing over 30 years as opposed to five years for a lease term. Tax Exempt Municipal Leases are a way that local governments can borrow money through a third party company. Leases provide short-term financing, and depending on the municipality’s policies, sometimes these lease payments can be moved into operating budgets – meaning less administrative work to get the items needed. Most public safety departments are funded by their governing agency or board, such as a city council. Most governments have a “use it or lose it” governance on annual fiscal budgets, and core projects can be at least partially funded with leftover budget monies at the end of the fiscal year. If your department would like to pursue this type of funding, it is imperative that you have a drawing and proposal on hand when these funds become available, because the funds are used up quickly. Some agencies are finding that it makes sense to share evidence storage warehouses and other facilities in order to pool resources and eliminate duplicated services. We can help make the most of your investment by designing a storage system that optimizes the available space. 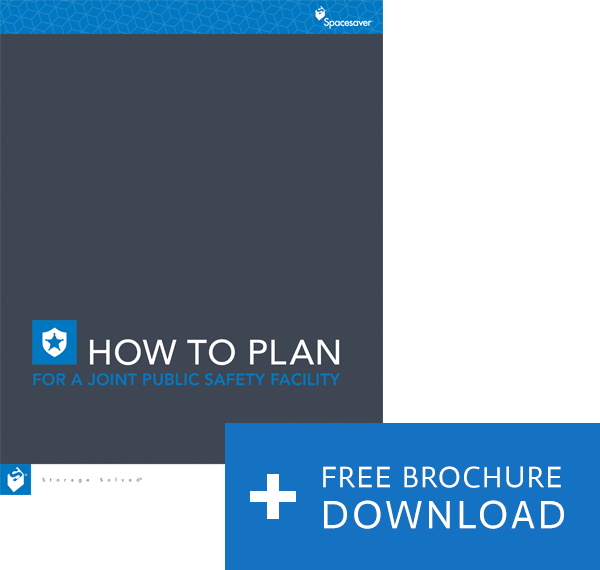 Check out our guide to start planning a joint facility. Many purchases for new equipment can be made using a purchasing contract in order to avoid the bidding process and ensure you’re getting the best possible price. Spacesaver has a variety of contracts, partnerships and teaming agreements that give you a number of choices for procurement, including GSA, NJPA, National IPA, and various state contracts. YOUR PROJECT A REALITY. WE’LL HELP YOU UNDERSTAND YOUR OPTIONS.